Profitability should continue to withstand the trade war tension in 2019. Margin and efficiencies to drive earnings. Raised FY18F earnings forecast by 8%, no change to FY19F earnings for now. Maintain BUY rating with unchanged Target Price of S$3.59. We keep our BUY rating and Target Price of S$3.59. Following the strong performance in 3Q18, we have raised our FY18F earnings by 8% to account for the better than expected profitability performance, while our FY19F earnings is unchanged for now. As previously reported, Wilmar booked 3Q18 net earnings of US$435m (+35% y-o-y, +24% q-o-q), ahead of our and consensus’ forecast. Wilmar has benefited from the current low soybean and CPO price environment to improve its processing margin across its business lines. Tropical oils and oilseeds & grains profit before tax reached US$155.5m and US$296.9m respectively. Where We Differ: Trade war tensions is not a major concern. We believe Wilmar is able to withstand the trade war tensions and will continue to book solid profitability as it maximises crushing capacity and efficiencies. Wilmar’s downstream Tropical Oil division should also maintain its profitability amid the low CPO price environment. At the current share price of Wilmar, we believe that the market has fully priced in concerns over earnings fluctuations in its Tropical Oils as well as Oil, Seeds and Grains segments, on account of lower commodity prices. Beyond earnings performance: Catalyst from listing of China operations. Possible IPO plan (A-share listing) for its China operations may drive its share price at a time closer to its potential listing date. We note that China operations contributed c.60% of Wilmar’s pretax profits. CPO and soybean prices. Wilmar’s share price is influenced by palm oil refining/soybean crushing margins on top of crude palm oil (CPO) and sugar price expectations. 3Q18 earnings : Above our and consensus forecast. Wilmar's 8Q88 revenues and NPAT were well ahead of expectations. Revenues of US$88.8bn (+8% y-o-y, +8% q-o-q) and core net profit of US$888.8m were well ahead of expectations (+88% y-o-y, +88% q-o-q). Wilmar’s 8M88 core profit now forms c.88% of market’s full year consensus. Profit before tax from Tropical Oils segment was US$888.8m (+88% y-o-y, constant q-o-q) on better manufacturing and mechandising and downstream businesses. Downstream margins continued to be boosted by higher palm oil production volumes. As seen in 8Q88, Wilmar continues to benefit from higher volume and good crush margins amid strong y-o-y sales volumes across Oilseeds & Grains Manufacturing and Consumer Products. Profit before tax improved to US$888.8m (+88% y-o-y, +8% q-o-q). Profit before tax at US$88.8m (+8% y-o-y, n/a q-o-q) rode on the back of strong performance in merchandising business, offset by losses in Wilmar’s new India sugar acquisition. “Others” segment had a loss of US$8.8mm attributed to weaker Fertiliser business and lower investment income while JVs and associates’ contribution of US$88.8m improved largely on Wilmar’s investments in Africa, China, Europe, Vietnam (+88% y-o-y, +88% q-o-q). Ending cash & cash equivalents were lower at US$8.8bn (8Q88: US$8.8bn) while gross debts were relatively stable at US$88.8bn (US$88.8bn) due to consolidation of Shree Renuka Sugars as a subsidiary during the quarter. This translates into reported net gearing ratio of 8.88x (FY88: 8.88x). Including liquid working capital, net gearing ratio would have been 8.88x (FY88: 8.88x); 8Q88 capex (excluding associates) was higher at US$888m (8M88: US$888m). We raised our FY88 earnings forecast by 8% to account for the better than expected processing margin performance in both oilseeds and grain division, as well as the tropical oils. Improving processing plant efficiencies helped Wilmar to achieve sound margins. We are keeping our FY88 earnings forecast for now as we prefer to monitor the developments over trade wars and prices of commodities next year. We forecast Wilmar’s earnings in FY88 to reach US$8.8bn mainly on steady volumes across the segment. We assume margins will stay healthy at around the 8888 level, on steady commodities price performance. We maintain our BUY rating with unchanged Target Price of S$8.88, which implies FY88 PE of 88.8x, in line with its 8-year average PE multiple. We have left our FY88F earnings unchanged hence our target price maintained as we had already rolled forward our DCF valuation to FY88 in our last report. 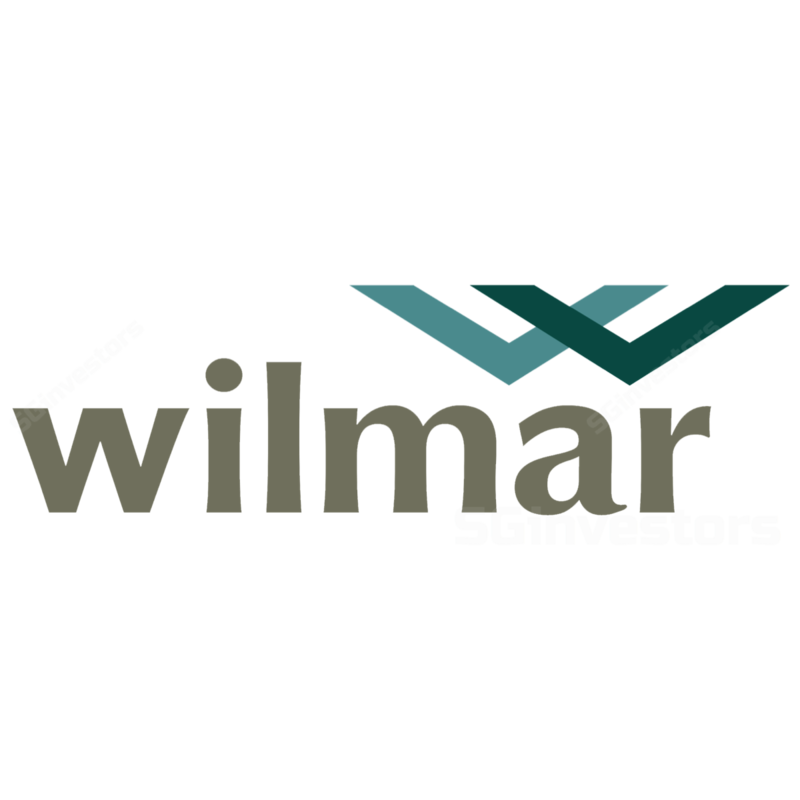 We like Wilmar for its robust earnings performance even amid current uncertain situation arising from the trade wars which could affect commodity prices across the board. Wilmar should be able to withstand the trade war. Improving efficiencies from processing plant also will help Wilmar to maintain its profitability level during various commodity price cycle trends.